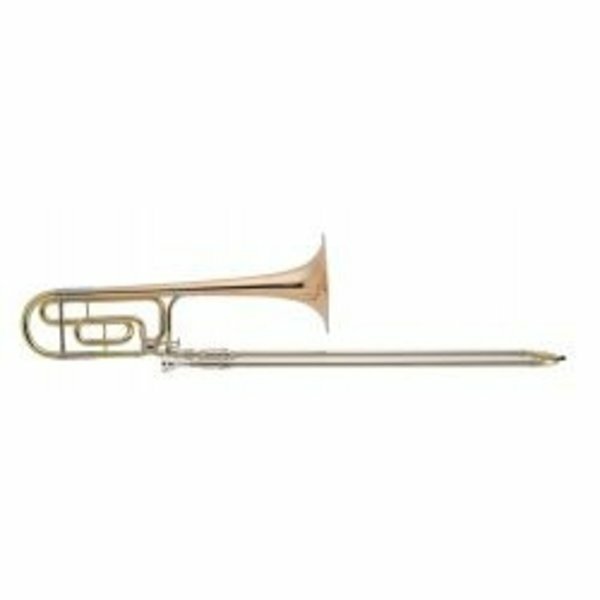 The King 4BF trombone has a classic large bore symphonic trombone design, with the advantage of having an F-attachment trigger to extend the range of the instrument and help with those difficult "extended arm" passages. The King 4BF trombone has a classic large bore symphonic trombone design, with the advantage of having an F-attachment trigger to extend the range of the instrument and help with those difficult "extended arm" passages. This model features a .547 bore and a bronze brass bell to offer the performer a quick response with a warm, full tone.